Hey guys and gals, please join me in wishing Happy Birthday to our newest Master! 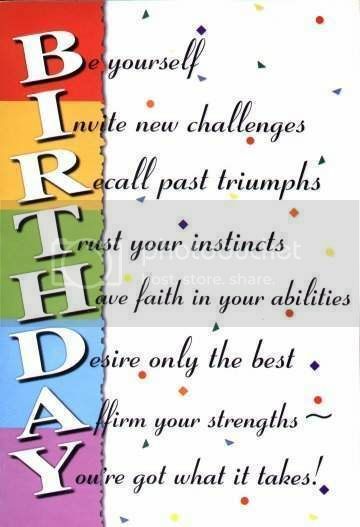 Best wishes on your birthday, I hope you have a wonderful day! Happy Birthday Lady Xi, and may you enjoy many, many more. Hey, RND, are you suggesting we listen to music and smoke weed? The music, yeah, but I'll have a shandy, thanks. HAPPY BIRTHDAY Master Xiandi .HAVE A GOOD ONE . You too Taz! Happy Birthday Cindi! May your day be as special as you are! and syd.... please... someone's gonna seize from that card. "Dreams are true while they last, and do we not live in dreams?" Happy Birthday oh ye Skinning sai! Long days and pleasant nights to ye and always remember the face of your father. happy birthday to the hottest lady in skinning!